French sports car maker Venturi set up shop in 1984 when two former Heuliez engineers, Claude Poiraud and Gerard Godfroy, decided to venture out on their own. See what I did there? Thirty years later the company is still around but now they are based in Monaco, have new owners, and they don’t really build cars like they used to. The Atlantique model was built between 1991 and 2000. Two models were offered, with the 300 being the high output version. This one is powered by a turbocharged 3.0-liter V-6 making 281 horsepower (this particular car was later massaged to 310 horses). Naturally-aspirated and top-of-the-line Bi-Turbo versions of the 300 were also offered. The body is fiberglass and it has aluminium doors, hood, and trunk. This 27,000 mile example is one of less than 700 Atlantiques built in total and is probably among the last constructed as Venturi went bankrupt in 2000. It’s a pretty car and one we adore, as far as obscure exotics go. This is the first Atlantique I’ve seen come up for public sale in years and it should bring between $61,000-$83,000. Click here for more info and here for more from this sale. 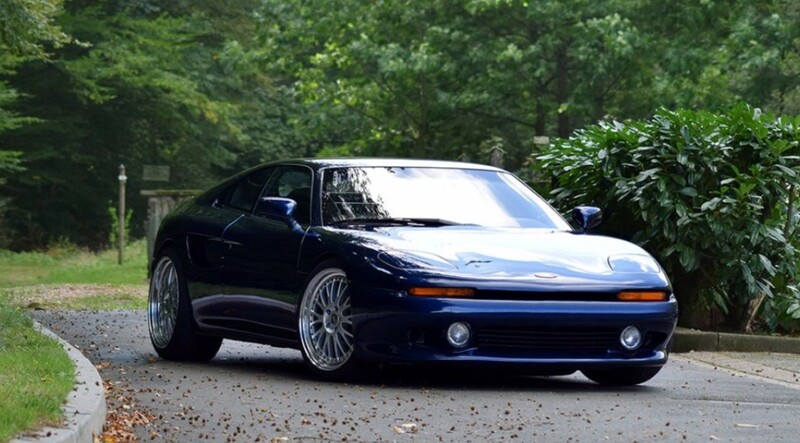 This entry was posted in Uncategorized and tagged 1998, 300, aguttes, atlantique, auctions, cars, classic cars, sports cars, turbo, venturi by classiccarweekly. Bookmark the permalink.